I have called this exhibition Brisbane Stories because although it builds on my last show Paradise Found - Close to Home, the really new thing about this recent work is the narrative or story element I have tried to include. 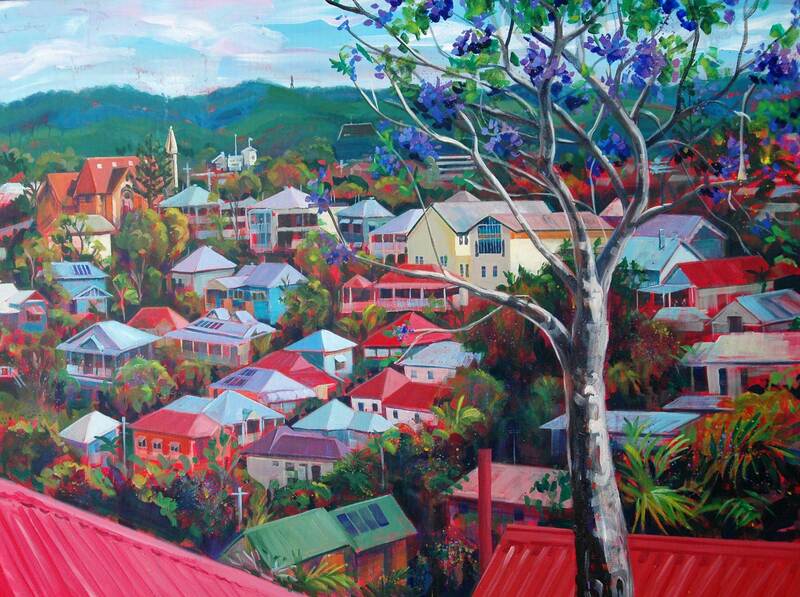 There are a lot more figures in these paintings and instead of just showing different scenes of Brisbane I have made LIFE my main focus. The lives of the people, the trees, the animals. Exhibition dates 11-23 October at the Petrie Terrace Gallery, Royal Queensland Art Society, 162 Petrie Terrace, Brisbane. Gallery Hours 10am-5pm every day. The artist will be in attendance each day of the exhibition.